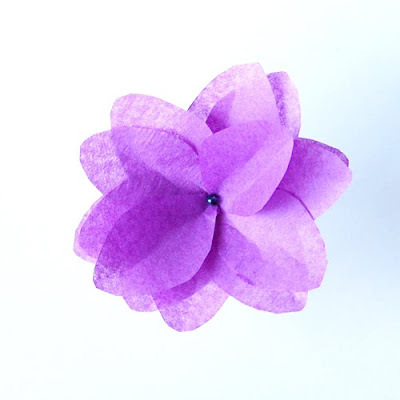 Here is another great tissue paper flower you can make, complete with templates. These are a little fussier than the first tutorial I showed you, but they are well worth the effort. The thing that makes these so fussy is cutting out all of the individual petals, so if you want to avoid that, I'd stick with the first version for now. 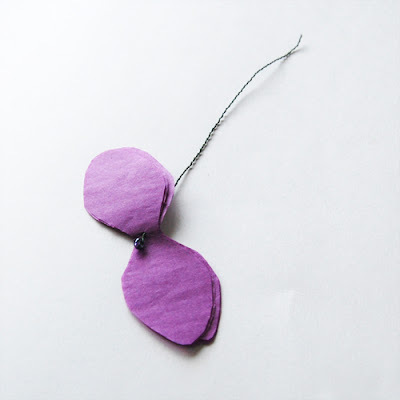 You could also make these from a patterned paper with more heft, these are definitely very delicate from tissue. To start, print out the following template. I have included several different sizes of the petal shape I used so you can make different sized flowers, or make a flower with petals grading from large on the outside to small on the inside. You can further change your petal size by manipulating the image in your favorite image program, or changing the size on your printer (provided your printer has a scaling function). 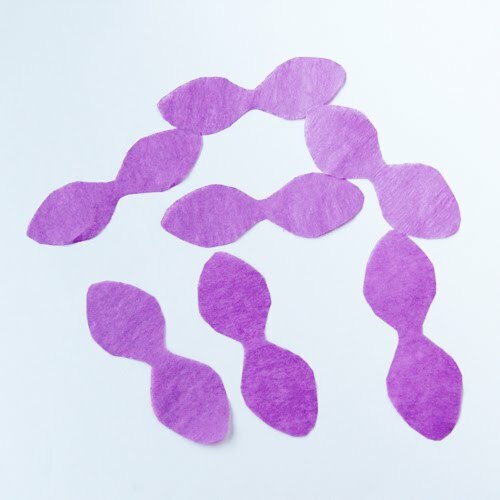 Trace your petal template onto your tissue paper and cut out your petals. For my flower I cut out 7 petals, all of the largest size. It can be faster to layer several sheets of tissue paper together, but if you feel you can not cut all of the sheets evenly you can do each petal separately. Once you have all of your petals cut out, stack them together so the centers match up. They do not have to match perfectly. 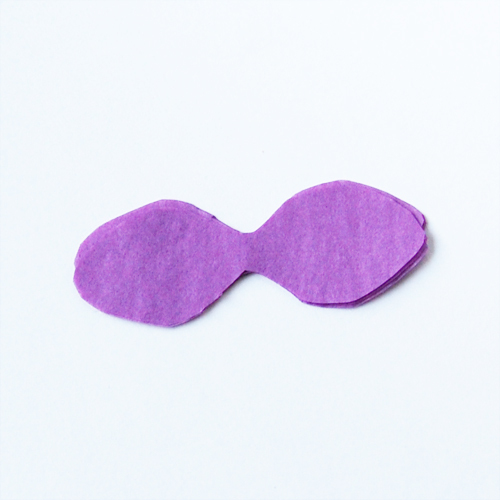 Use your hole punch to punch a hole through the center of all of your petals. This will be where you thread your wire stem through all of the petals. 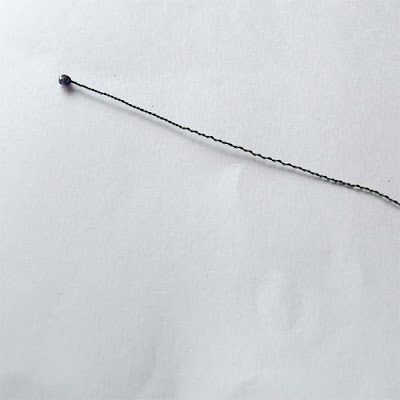 To create a wire stem, take some floral wire and a large seed bead (I chose purple glass seed beads, you could use plastic beads or beads in another shape if you like) bend your wire in half and feed a bead onto one end. 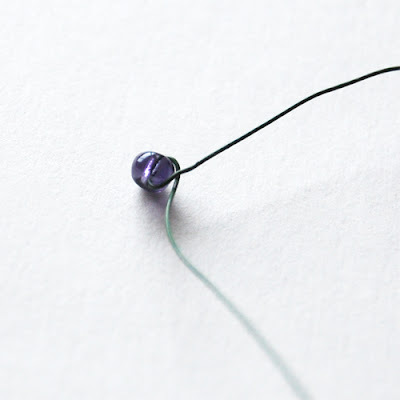 Push the bead to the center and twist the wire around the bead tightly as shown below. 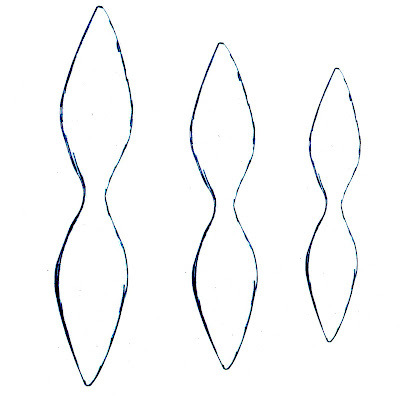 Continue twisting your wire together to create your stem. 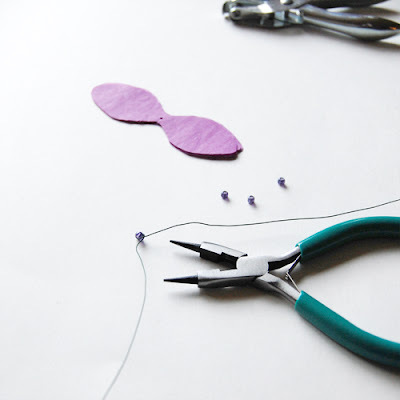 I use 26 gauge floral wire when making my flowers, so I find that twisting it together allows me not only to add beaded "stamens" of my choosing, but also gives me a thicker more stable stem for my final project. Twist all of your remaining wire together until your stem is complete. 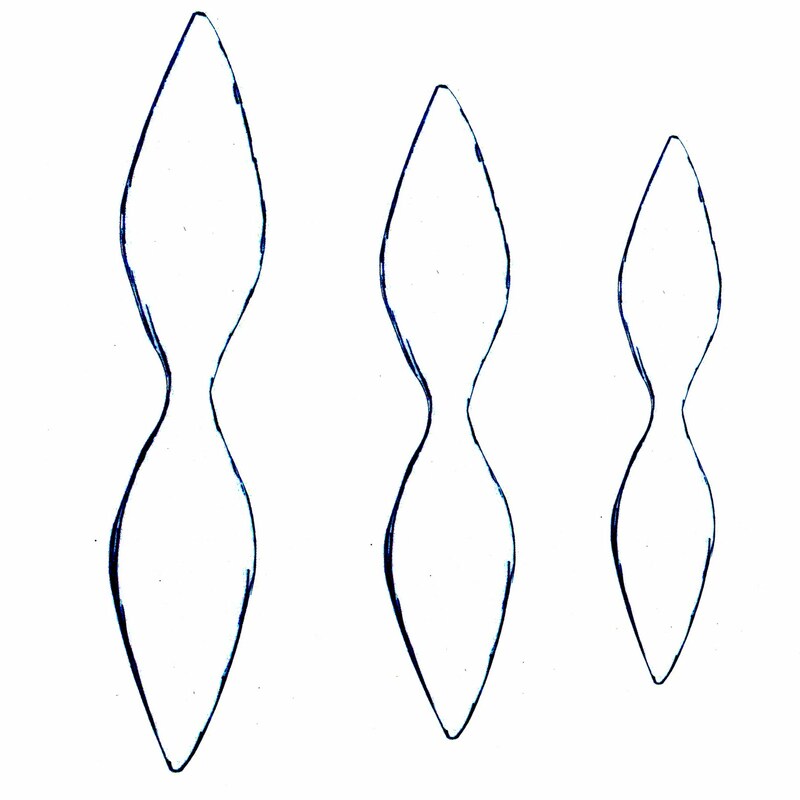 Now, thread your petals onto your stem. 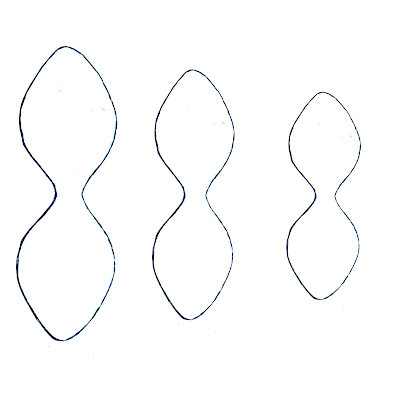 If using several different sizes, make sure that the smallest petals are threaded on first, followed by the larger ones. 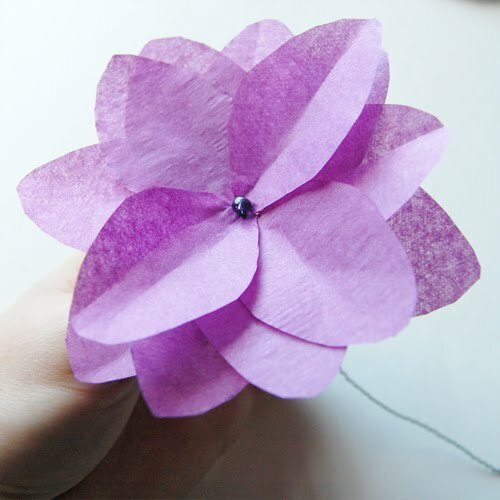 Next, fan out your petals to create the final shape you want. Use a tiny bit of glue to hold each petal in place. 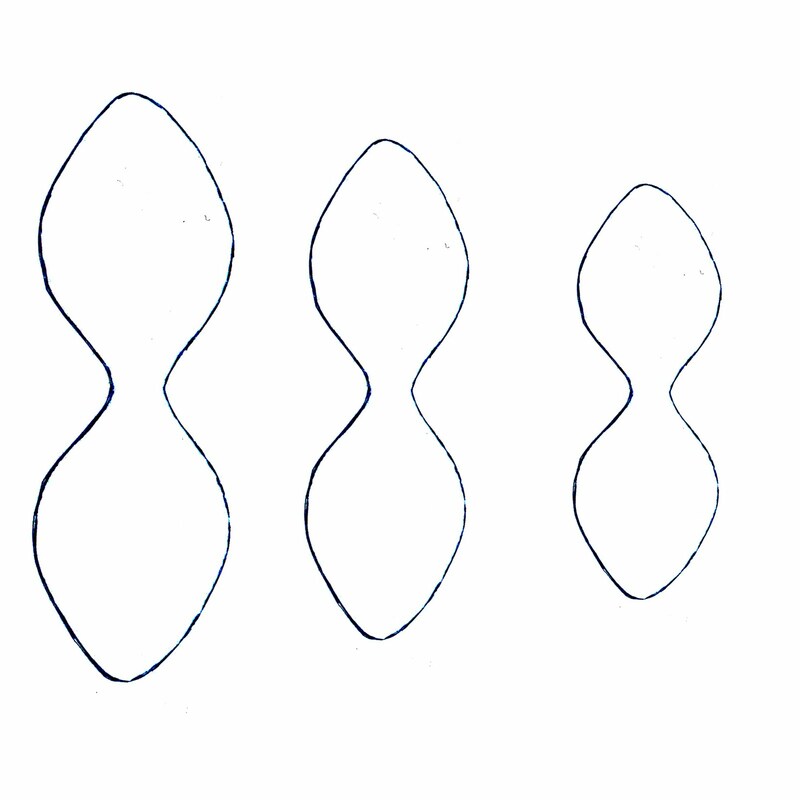 You may bend and fold your petals to give more volume and shape to your flower as well. Once your glue is dry, use floral tape to cover your wire stem. I generally overlap my bottom petals a bit, pushing them against the beaded center and making my petals "pop up" a bit more. Wind the tape tightly around the entire stem to cover all of your wire. Now your flower is done and can be put together into a bouquet or vase, or you can twist the wire around your wrist as a corsage! If you want longer, thinner petals I also have this template: I would recommend using more petals, as these will not cover the same area when fanned out.